Offering property damage repairs to Rocky Hill, our Connecticut disaster reconstruction is the qualified choice. From fire damage to mold growth, we have you covered. Sante Property Damage Reconstruction provides fast and friendly customer service in emergencies. You can count on our integrity and skill to completely reconstruct property damage. 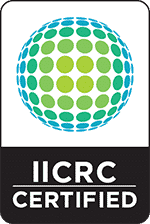 Whether you have a commercial structure or a residence, we make our disaster reconstruction clients top priorities. Are you searching for property damage reconstruction? We are a professional company. Licensed and insured, you can put your trust in our management of water damage, mold elimination, and fire repairs. We work with homeowner’s and other insurance companies to discover the best way to achieve property damage reconstruction. Call us today to see what a difference professional property repairs make! Do you need fire, mold, or water damage repairs? Our property damage reconstruction is insured and licensed. Professional and specialized, whether you have a fire damaged property or mold growth, we can help now. Sante Property Damage Reconstruction has more than 30 years of experience serving the Rocky Hill community. You can trust us with home repairs or commercial property reconstruction. Large or small, we make our disaster repair clients our top priority to ensure your success. Available 24/7 for emergency property damage reconstruction, don’t hesitate to call our customer service now. We will get on your side with fast and friendly damage repairs immediately! From smoke and soot to firefighter’s water damage, we know the complex issues surrounding fire damaged properties. Stopping the spread of destruction, we eliminate issues like potential mold growth, moisture, and structural issues. Our fire damage reconstruction in Rocky Hill secures properties after disaster. With your best interests at heart, we will handle insurance claims assistance. When you hire Sante Property Damage Reconstruction, you can rest assured in your choice. Licensed and insured, our fire damage repairs give you lasting peace of mind. Once water damage begins, it can be very difficult to stop the destruction from growing. 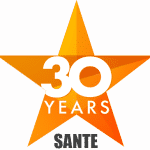 At Sante, we have three decades of experience with water damage repairs. We know how to halt the damage, sanitize the space, and provide complete water damage reconstruction. Trained technicians are available now! Don’t hesitate to call us. With flooding and water damage, time is of the essence. Our services are designed to prevent mold growth and other related issues. We eliminate humidity and moisture. Call us anytime, night or day for expert water damage repairs. A qualified professional is very important with mold growth. Understanding the varieties of mold is of the essence. If not handled correctly, mold damage repairs can make the problem worse. Sante Property Damage Reconstruction specializes in eliminating mold growth. Our services solve the problem at the source. If you see visible discoloration, it is time to contact us. Mold damage reconstruction will include containing the space to protect air quality and your health! No one can fully predict storm damage, but Sante Property Reconstruction has decades of experience repairing it. Licensed and insured, we are available for immediate service. Our storm damage repairs in Rocky Hill are the professional choice. Downed trees, tornadoes, flooding, and wind damage can have catastrophic results. Step by step, our storm damage reconstruction manages the disaster. Our first priority is always your health and safety. If you are in an emergency, don’t hesitate to call us now for storm damage repairs! Our licensed and insured commercial property reconstruction is the professional choice. We understand business at Sante because we have one, too. If you need commercial property repairs, let us help now. Our teams are trained and qualified. This gives our clients peace of mind that’s priceless. Our free estimates, emergency service, and compassionate customer service are top rated. Sante Property Damage Reconstruction specializes in business repairs in Rocky Hill. General contracting services should be licensed and insured. Sante Property Damage Reconstruction is qualified and responsible. Our general contractors meet all regulations. You will be impressed with our service, craftsmanship, and honesty. Always offering personalized estimates, we tailor our plans to meet your general contracting needs. Are you in an emergency? Count on our 24/7 service options. When you choose Sante, you will get a professional general contractor in Rocky Hill. Trusted time after time, our customers come back to us. We cover the labor, materials, and equipment in our free estimates! If you are looking for property damage repairs, put your trust in Sante! Our decades of experience in Rocky Hill, Connecticut ensure the success of your project. In the stress of disaster damage reconstruction, you need a calm and experienced team. Our services are licensed and insured. Whether you have fire damage, mold, flooding or storm disasters, we can help with 24/7 property damage reconstruction! Does your Rocky Hill Home or Business have Damage?